Emma Jung, née Rauschenbach, was born into a wealthy Swiss-German family. Although her father, an industrialist, was a patron of the arts, he did not provide his daughter with a higher education. She was a teenager when Carl Gustav Jung, an old friend of her parents, noticed her on a visit to the family home. He recounted in his memoirs that he thought, "This is my wife." In 1903, seven years later, they married and went on to have five children. Emma Jung took a great interest in her husband's intellectual activities and participated in his research. As was customary in family psychoanalysis at the time, Jung began to analyze Emma in 1910. She started to work as an analyst herself in 1930. She also conducted a long research study of the psychological symbolism of the legendary Holy Grail published by Marie-Louise von Franz. In 1931, Emma led a conference at the Psychological Club of Zurich on "The Problem of the Animus," published by Jung in 1934. In 1950, she wrote an essay on "The Mythical Representations of the Anima," published in 1955. These two essays dealing with the opposing archetypes of the feminine "anima" in the man, and the masculine "animus" in the woman, were brought together a single publication in 1957. 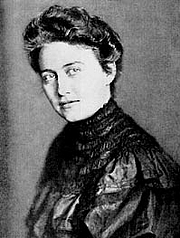 Emma Jung's writings were distinguished by her woman's approach to the female psyche, marking an important difference from the often sexist works of the male pioneers of psychoanalysis. Emma Jung is currently considered a "single author." If one or more works are by a distinct, homonymous authors, go ahead and split the author. Emma Jung is composed of 1 name.